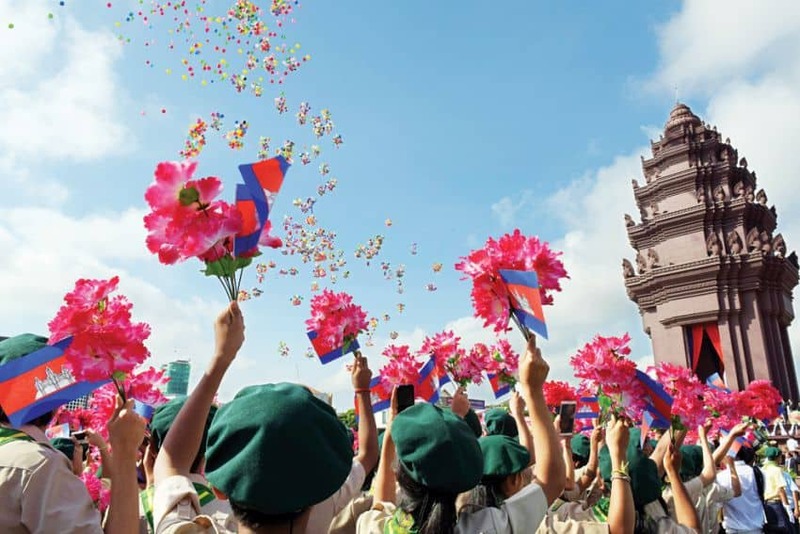 Bon Om Tuk, or the Water Festival, is the largest and most celebrated festival in the country that takes place over three days in November, with the biggest celebrations being where the Tonle Sap and Mekong River meet – in front of the Royal Palace in Phnom Penh. What is Bon Om Tuk? Cambodian culture is full of diverse, hidden symbols, myths and superstition; and, it’s not a surprise that this festival happens during the full moon. The festival is also said to have many historical and cultural meanings since its first celebration in the 12th century. The importance of a successful fishing season, a fruitful rice harvest and the meaningful King’s Navy are all represented in the festivities. According to history, King Jayavarman VII’s Navy helped usher in the Cambodian fishing season. The festivities made the gods happy and secured good harvests of rice and fish in the upcoming year. Bon Om Tuk was also a way for the King to prepare his navy for battle. Carvings at Bayon Temple and Banteay Chmear show naval battles similar to the boat races in present-day celebrations. Bon Om Tuk is celebrated in every province. Some spend the time celebrating with their families. 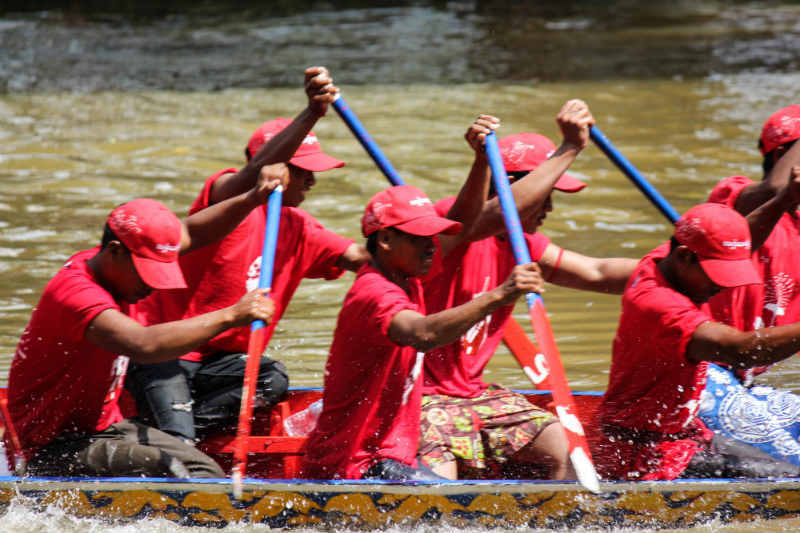 They go to see the boat racing and some travel around the provinces to see how they celebrate water festival in different communities. The second day is a full moon, and many celebrate and pray to the moon by putting things like fruits, coconuts and special rice in front of their houses. They believe that by doing so, the moon will give them good luck. Another good way to celebrate Bon Om Tuk it is to make a special trip from the provinces to the capital city, Phnom Penh. Here, the boat racing event is the biggest highlight. It is a tradition that dates back to the times of the ancient Khmer Empire that marks the strength of the powerful Khmer marine forces. 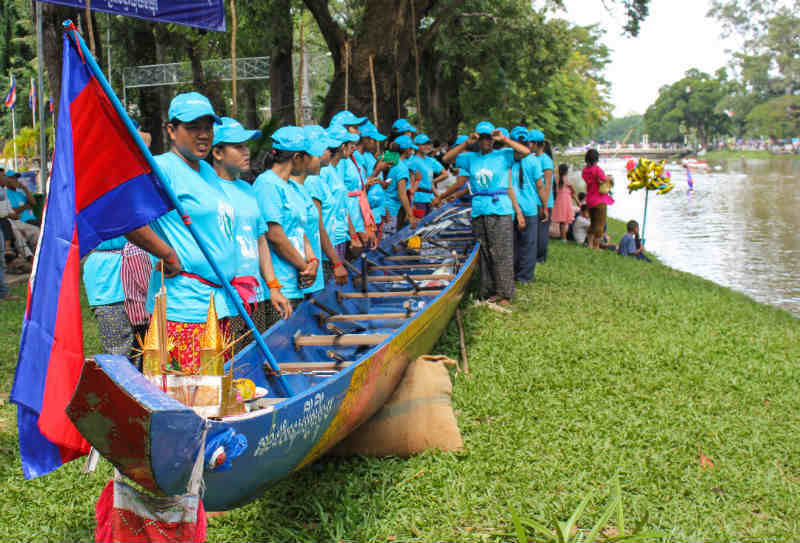 Boat race teams arrive a few days before to practice along the Tonle Sap River. The boats are often sponsored by individual donors and government officials. The river bank is a hot spot of activities, food vendors and musicians and it is the best place to watch the boat race, see the illuminated floats and moon salutation. Many people lay out a picnic mat, eat and drink, and cheer for their teams. At night, you will see people floating small, handmade boats in the river along with many, many floating candles. Different government ministries create their own larger illuminated boats. Later in the evening there are beautiful fireworks displays that last around 20 minutes. 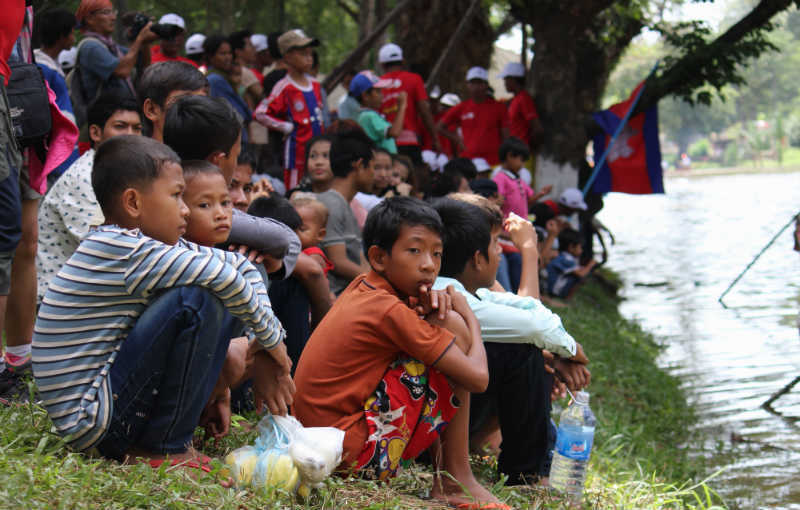 Here in Siem Reap, we also have many visitors who come to see the boat races along the Siem Reap River. It is a good alternative to Phnom Penh because people can also visit the temples of Angkor at the same time. 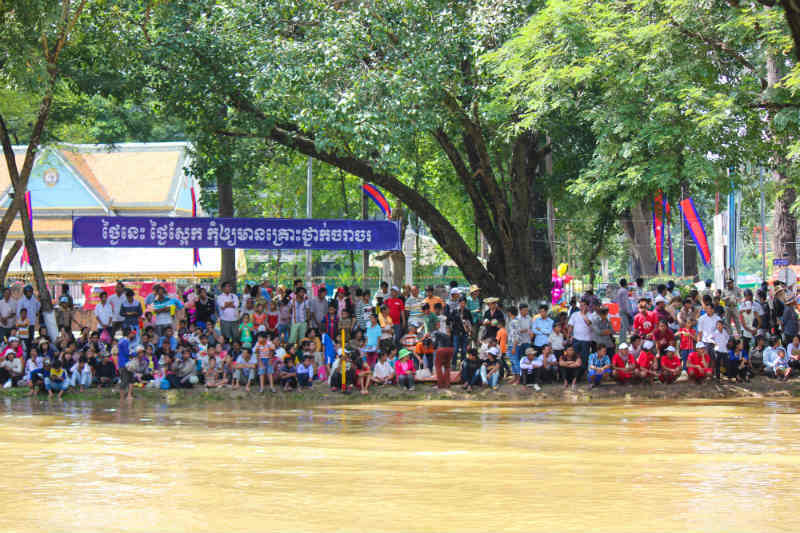 The river bank is full of activities, music and food vendors and cheering crowds. As a visitor this should definitely be on your must-see list.